I am an Estonian artist living in Tallinn; currently working on my PhD theses, on the topic of nationalism, national celebrations, and the potential of building common ground for different ethnic communities in Estonia. My main medium is video, and my work is largely based on fieldwork in Estonia and Estonian-related areas in Russia, like former Estonian villages in Leningrad oblast and current Estonian communities in Siberia. Besides artwork, I am also doing illustrations, animations, video recording and editing. Feel free to contact me, regarding any of my activities. 2014, 8.01–20.01. “15 Minutes of Shame” in Hobusepea Gallery in Tallinn. 2012, 09.08.–02.09. “I am here” in Tallinn City Gallery. 2011, 14.05–26.05. “US” in Draakon Gallery in Tallinn. 2015. 9.11 – 31.12. “Peegeldusi Peterburi eestlastest” / “Отражения петербургских эстонцев”. Peterburi Jaani kirik. 2015.14.08-1.01.2017 “Peipsi paralleelmaailmad”/ “Parallel Worlds of the Lake Peipus” koos Annika Haasiga. AmbulARTooriumi kunstimaja, Vana-Kasepää. 2015. 31.07-23.08 “TL;DR”. Tallinna Kunstihoone galerii / Tallinn Art Hall Gallery. Curator: Stacey Koosel. 2015. 15.01-15.02 “Reflektsioonid: sissevaade/väljavaade”. Tallinna Vene Muuseum (The Russian Museum in Tallinn). Curator: Evi Pärn. 2015.15.12-30.01. “Of Borders and Spirit” The Museum of Occupations, Tallinn. Curator: Marika Alver. 2015, 3.11–3.02. “EKA 100 juubelinäitus” in KUMU. Curator Mart Kalm. 2014, 15.10–9.11. 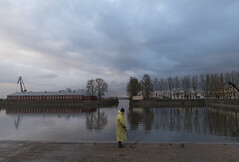 “Waiting for the Gray Ship” in Y-Galerii, Tartu. Curator Tanel Rander. 2014, 20.05–14.09. “Shifting Identities” in MACRO Testaccio, Rome. Curator Ludovico Pratesi. 2014, 30.05–28.06. “The Hypnotist Collector” in NauART Gallery in Barcelona. Curator Stacey Koosel. 2014, 7.05–23.05. “Street-market-art: Balti Jaama Turg goes gallery” in EKA G Gallery, Tallinn. Curator Francisco Martinez. 2014, 25.04–1.09. “Piirist ja Piiritusest” (About borders and non-borders/ethanol) in Narva College. Curator Marika Alver. 2013, 8.09–19.09. “Российская Север” in Sõktõvkar, Russia. I won the first prize for my photoseries of Russia. 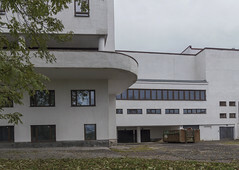 2013, 13.08–9.09 “Klyukva” in Art Centre “Югор” in Sõktõvkar, Russia. 2012, 07. “Maa ja päivyt” in Vistino Culture Hall (Leningrad oblast, Russia). 2014, 29.10. Presentation about national celebrations as spectacles in National Theatre in Riga, Latvia in the performance of Kviss Bumm Bang (Iceland), “Republica”. 2014, 28.03. Presentation in the conference “Re-Inventing Eastern Europe” (The 3rd Euroacademia Conference) in the panel Art as Cultural Diplomacy in Berlin. 2013, 28.11. Presentation in the annual conference of Estonian Academic Folklore Society about the borders between art and anthropology in Estonian Literature Museum, Tartu. 2010, 14-16.05. Presentation about social and political condition of Finno-Ugric people in Russia in the conference of Finno-Ugric students (IFUSCO) in Perm, Russia. I got the first prize for my presentation. 2013. 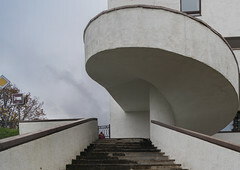 First prize for my photo series of Russia in the art exhibition “Российская Север” in Sõktõvkar, Russia. 2010. First prize for my presentation about the social and political condition of Finno-Ugric people in Russia in the conference of Finno-Ugric students (IFUSCO) in Perm, Russia. 2007. First prize for my design “Draw the Line” in the University of West of England, Bristol. Elo Hanna Seljamaa. Participating in public displays of nationalism, shamelessly: Eva Sepping and her trilogy on nationalism. Estonian Art 2014, 1. Ludovico Pratesi. Una Scoperta di nome Tallinn. EXIBART 80. Hanno Soans. Meie mitmuse teine. Sirp, 2011, 25.03. Helen Rohtmets. Kass Vasja päästmine. Loodusesõber, 2012, 5. Михаил Казанцев. Развесистая «Клюква» (ФОТО). Красное Знамя. 2013, 16.08. Reflektsioonid: sissevaade/väljavaade. Festival VDRUG: Eesti kaasaegne vene kultuur. Tallinn 2015. Shifting Identities. Identity in contemporary art between Finland and Estonia, 2014. In 2010 I created an online course for the IT College and got a recognition of a Quality Mark.